Raoul Coutard, the French director of photography who revolutionized the field of cinematography with his unorthodox camerawork and lighting, has died. Closely associated with the French New Wave, the largely self-taught Coutard collaborated with Jean-Luc Godard in the 1960s, shooting almost all of the Franco-Swiss director’s classics of ageless cool, including Breathless, Band Of Outsiders, Pierrot Le Fou, and Contempt; in the process, he innovated and popularized the use of handheld camerawork and other techniques. Coutard was 92. A veteran of the French Indochina War, Coutard lived in what is now Vietnam for 11 years, working as a freelance combat and editorial photographer for such magazines as Life and Paris Match. His first credit as a cinematographer is the stuff of film legend. After agreeing to “photograph” Pierre Schoendoerffer and Jacques Dupont’s documentary The Devil’s Pass, Coutard showed up on set believing he had been hired as the film’s publicity stills photographer, only to be handed a motion picture camera, which he had never held before. 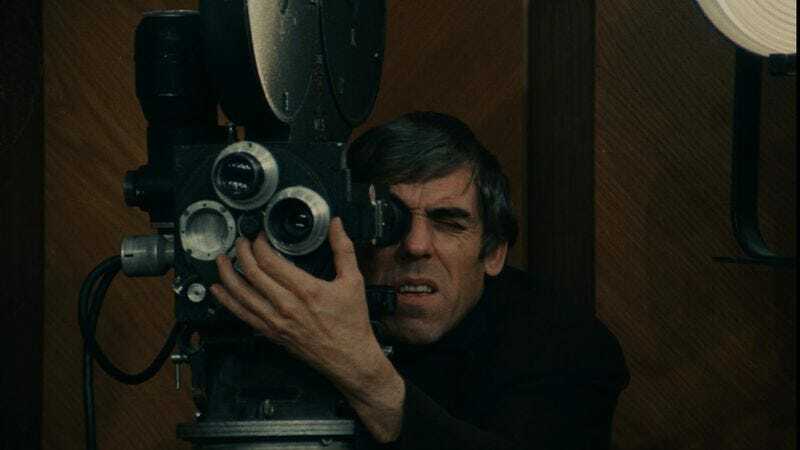 But Coutard was a quick study, and the award-winning film brought him to the attention of producers, including Georges De Beauregard, who hired him on as the director of photography for a very low-budget debut feature he was producing for a former critic named Jean-Luc Godard. This was Breathless, an unexpected commercial success that would change the course of film. But though Breathless’ jump cuts, long takes, witty references, and overall sense of self-aware cool were largely unprecedented, the film also represented a radical departure from the way movies were supposed to be made. Godard’s innovations were the result of a complete lack of interest in conventions or regulations. He worked short and inconsistent hours without a completed script and with a tiny crew. In Coutard, he found a collaborator with just the right mix of technical smarts and an “anything goes” mindset. Coutard shot handheld on a lightweight documentary camera, using bulk rolls of 35mm film meant for photojournalism, which required fewer lights than motion picture stock. He had Godard wheel him around in a wheelchair to create camera movements and, for one famous sequence, hid under a tarp inside of a mail cart to film a long tracking shot on a busy street. Breathless’ on-the-fly techniques would be adopted by countless filmmakers over the next decade, and would become an essential part of film grammar. But Coutard proved to be a diverse talent, and was just as comfortable choreographing complicated dolly moves as he was clambering out of a window with a handheld camera to get a shot. His work with Godard and with such directors and his fellow French New Wave critic-turned-director François Truffaut (on Shoot The Piano Player, Jules And Jim, The Soft Skin, Antoine And Colette, and The Bride Wore Black) helped change the aesthetics of film, popularizing such “mistakes” as blown-out light sources and lens flares and breaking every technical rule imaginable, from filming close-ups with wide-angle lenses to filming indoors without artificial light. In addition to his French New Wave films, Coutard’s other notable work of the period included his collaborations with Costa-Gavras, including the widely acclaimed Z. In addition to working as a cinematographer, Coutard also directed two fiction films that drew on his experiences as a combat photographer, the Camera D’Or-winning Hoa-Binh and Operation Leopard, as well as S.A.S. San Salvador, a sleazy action thriller based on a long-running series of pulp spy novels. Though he had a falling out with Godard after the latter’s attention turned to radical Maoism in the late 1960s, they reunited in the 1980s for Passion and First Name: Carmen. His last film was 2001’s Wild Innocence, directed by Philippe Garrel, who had come of age during the heyday of the French New Wave.